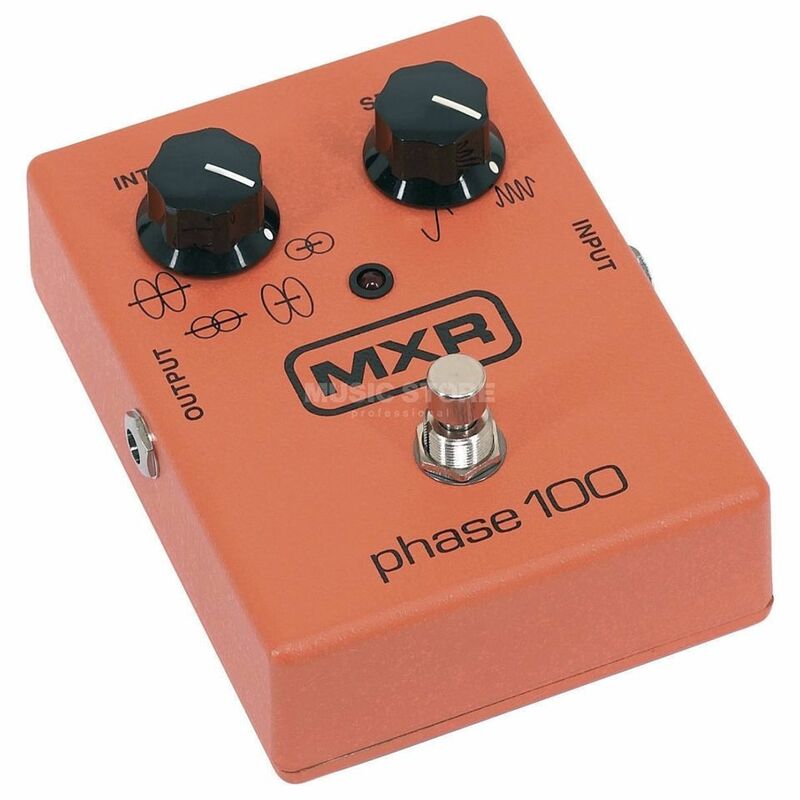 The MXR M107 Phase 100 pedal offers a broad range of sounds than your average phaser. The MXR M107 Phase 100 features a four-position rotary switch that selects four different intensities, defined as preset waveform patterns. Between the intensity and speed settings, you'll find quite a supply of excellent sounds tucked away in this orange casing. Dimensions: 5" x 3-3/4" x 1-1/2"